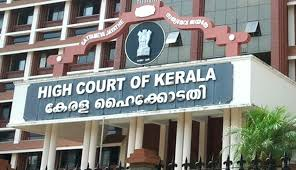 The High Court of Kerala is the highest court in the Indian state of Kerala and in the Union Territory of Lakshadweep. It is headquartered at Kochi. Drawing its powers under Article 226 of the Constitution of India, the High Court has the power to issue directions, orders and writs including the writs of habeas corpus, mandamus, prohibition, quo warranto and certiorari for ensuring the enforcement of the Fundamental Rights guaranteed by the Constitution to citizens or for other specified purposes.